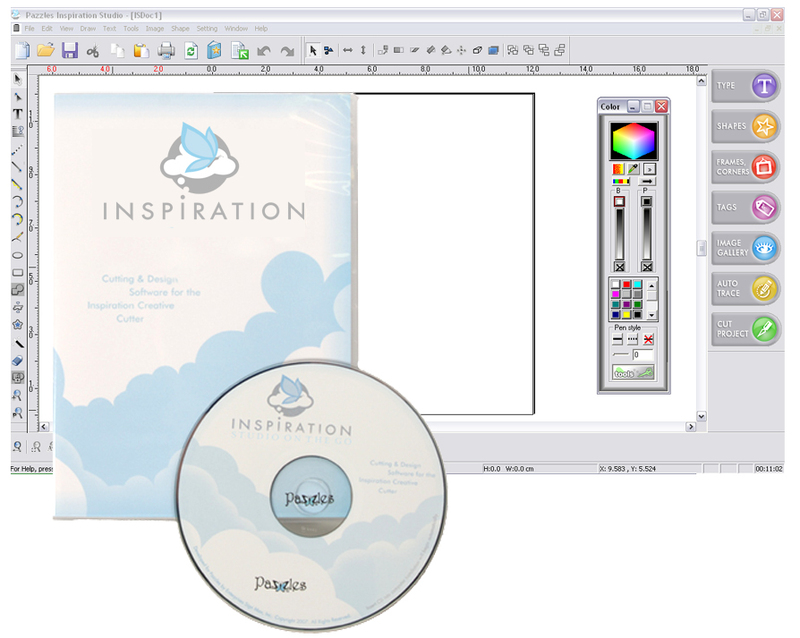 Your Pazzles Inspiration comes with our powerful Inspiration Studio Pro 2010 software. You can design any shape, image, or text that you want to cut. 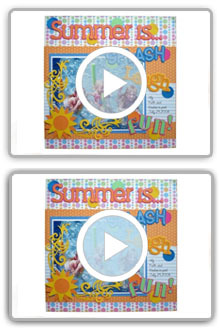 Type custom titles in any True Type font, easily trace around any picture or clipart, freehand draw your own design, import SVG files, or use one of the thousands of images in Pazzles Craft Room. There are so many powerful tools in our software that are easy to use; the only limit to your designs is your imagination. 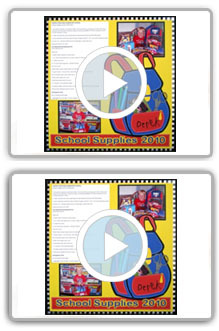 As a beginner you will find you can easily use favorite features such as welding shapes together, creating shadow mats, creating titles, re-sizing, and auto-tracing. As you learn and grow, you will find that the software contains every tool you could possibly want to create even the most advanced projects. This carefully thought out balance between ease of use and powerful tools is something very unique to the Pazzles Inspiration and sets us apart from any other cutting system.